Our life is full of uncertainties. Even though we've managed to make tremendous progress in the fields of science and technology, the possibility of getting diagnosed with a critical illness like cancer or organ failure cannot be ruled out. Besides being life-threatening, a critical illness may also result in loss of income owing to the high costs of medicines or surgery - thereby putting you or your family under tremendous financial pressure. How will you ensure that you're covered to handle such eventualities? This million-dollar question has now been addressed by CritiCare+ from Edelweiss Tokio Life, a non-participating and a non-linked critical illness insurance plan. The plan provides your family the required support during the onset of a critical illness. CritiCare+ is a critical illness plan, not a health insurance plan, in which you get lump sum benefits at the time of being diagnosed with a critical illness. Under this plan, you can stay protected against 17 dreaded diseases. Getting lump sum benefits will help your family to manage day-to-day and health care expenses during the treatment period. Choose the "Multiclaim" option to avail a waiver of future premiums after your first claim. Not only that, you can claim up to three times under this option during your policy term in case you are diagnosed with any other critical illness from a different group. To enroll for this plan and avail benefits, you should be in the age group of 18 (Minimum Entry Age) to 65 years (Maximum Entry Age). Once enrolled, the Minimum Policy Term is 5 years, but you could stretch it up to 30 years (Maximum Policy Term) based on your requirement. The Maximum Maturity Age (last birthday) is 70 years. The Minimum and Maximum Sums Assured are INR 5,00,000 and INR 1,00,00,000, respectively. You just need to pay a Minimum Premium of INR 2,000 annually. 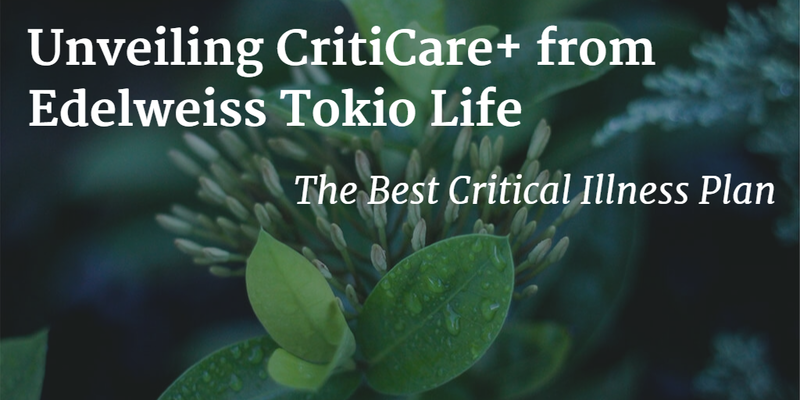 CritiCare+ provides you discounts for higher sum assured. Not only that, you even get tax benefits on premium paid and claim amount. Visit here to know more about this plan and ascertain if it meets your needs. You can even purchase this plan online, right from the comfort of your home and get the maximum protection. In case you need an advisor, you can place a request at 18002121212 or SMS NEED to 57575. Finally, a great health solution like CritiCare+ is an investment and will ensure that you and your family can solely focus on health recovery without having to worry about finances or any other hassles.